As the UN climate conference ticks on outside Paris, four of the world’s top climate scientists are echoing a sentiment they backed in 2013: replacing fossil fuels with nuclear power is the only realistic approach to combating climate change. Former NASA scientist James Hansen coauthored the missive with Kerry Emanuel, Ken Caldeira, and Tom Wigley. In the recommendation, published by The Guardian just three days after world leaders convened in Paris for intense climate talks, the scientists recommend that world leaders put prejudices aside to get serious about policy negotiations, and adopt a common sense approach. The Earth is rapidly approaching a crucial warming point, and climate scientists have been warning repeatedly that drastic measures need to be adopted – and then implemented quickly – in order to slow the temperature increases. The position touts the advantages of nuclear power, which they recognize as being “uniquely scalable and environmentally advantageous.” Although nuclear power certainly comes with its own concerns, such as safety and proliferation, the fact that it is a cleaner resource than fossil fuel makes it an ideal transitional piece in the puzzle. The scientists claim that nuclear power stations have avoided an estimated 60 billion tonnes of carbon dioxide emissions over the past 50 years, by offsetting fossil fuel combustion. Because nuclear power production emits zero CO2, they argue that this is the fastest and most efficient way to address the record high CO2 concentration, and that it could make a huge impact on a short timeline. Hansen and his coauthors argue that building 61 new reactors per year could entirely replace current fossil fuel electricity generation by 2050. Eliminating greenhouse gas emissions stemming from energy production sounds like a dream, but it’ll be up to government leaders to determine how aggressively they are willing to combat the effects of climate change. 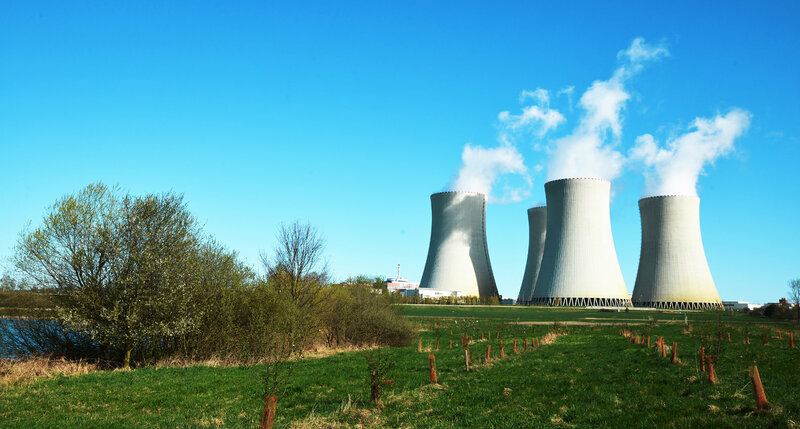 Could nuclear power replace our dependence on fossil fuels for electricity? 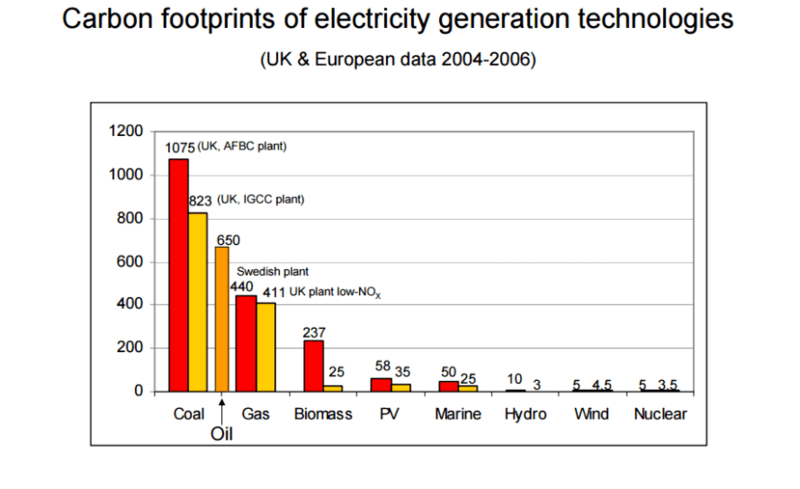 A chart from UK's Parliamantary Office of Science and Technology illustrates GHG emissions from electricity production.